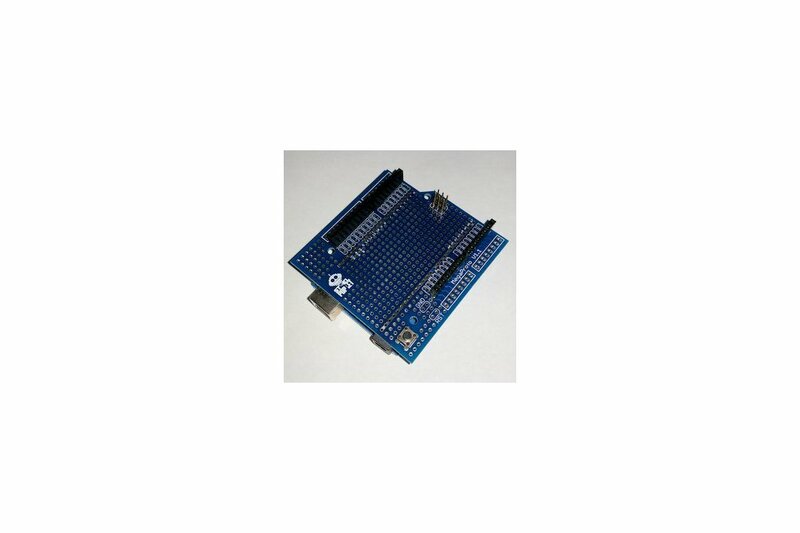 This kit includes everything required to make a complete Universal Proto-Shield System for Arduino that will work with Uno form-factor Arduinos and Arduino-compatibles. 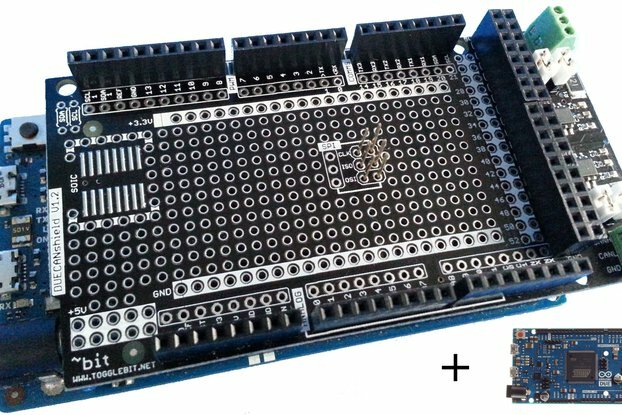 This kit only contains the headers, not the screw-terminal blocks. You can add your own screw terminal blocks, if you’d like. You provide the Arduino or Arduino-compatible, and you solder. What’s so special about this proto shield? First, it has spots for.1″ screw-terminals (you supply, or don’t use the screw terminals in this kit). 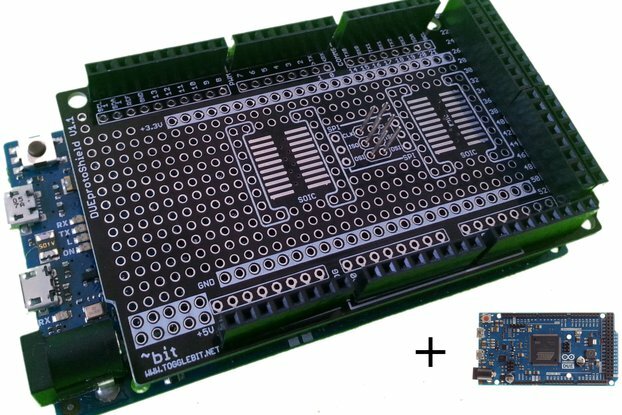 Second, it’s modular: If you buy the full-combo, you can use the whoTerminal system Ble thing, just the master board, or just the expansion on a Mega. 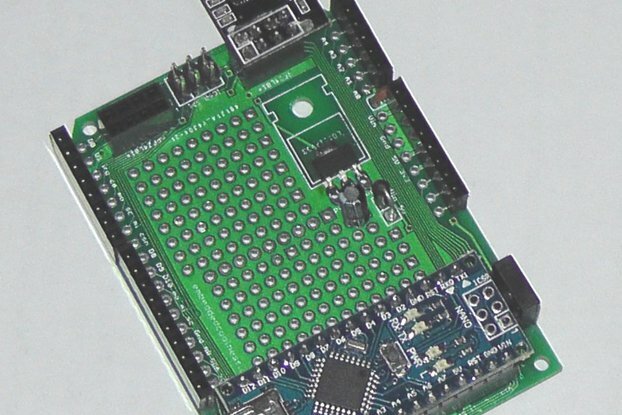 You can use the master board, here ,on an Uno form-factor board, or on just the left side of a Mega. 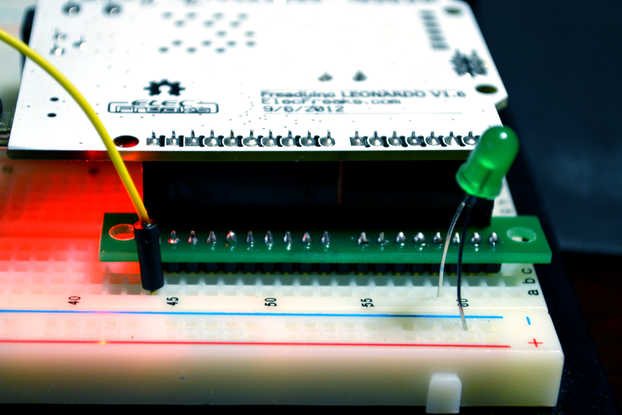 Finally, you can add screw-terminals (not included) that work without going through the Arduino port pin, or you can jumper them together and use the screw-terminal for the Arduino port pin.